If Sony had a Playstation All-Stars racer, similar to Sonic & Sega All-Star Racing and Mario Kart, it'd probably look like this. The creators, Max and Leonardo, pretty much included everyone, as you can see in the full pic below. 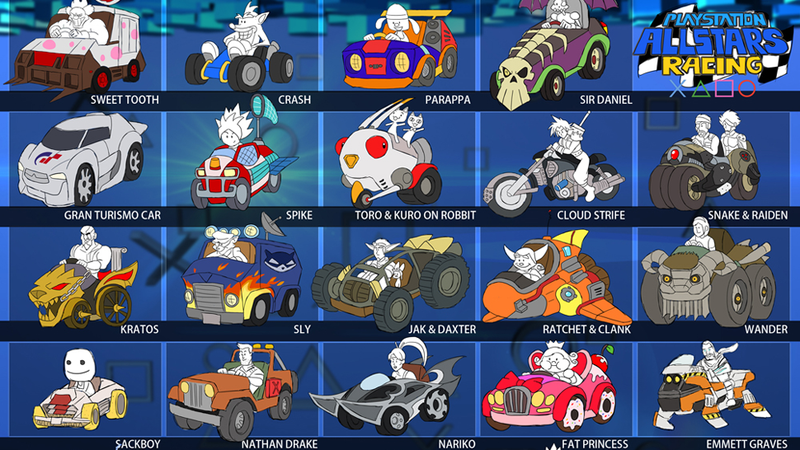 This would be Wacky Races level of chaotic racing.